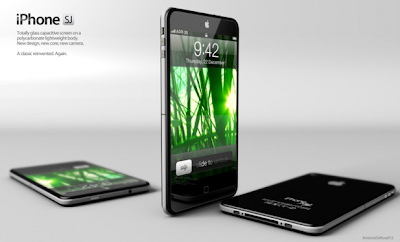 Here is another awesome and new beautiful concept mock up of the upcoming iPhone 5 designed by ABR studios. Below is the picture os this concept and the designer has named it as 'iPhone SJ'. What do you think of this mock-up? Would you want design like this? 0 Respones to "New Awesome Apple iPhone 5 Mock-Up"